CALGARY — Jake Kryski scored twice before setting up Kaden Elder's winner at 2:30 of overtime as the Calgary Hitmen edged the Edmonton Oil Kings 4-3 on Saturday in Western Hockey League action. RED DEER, Alta. 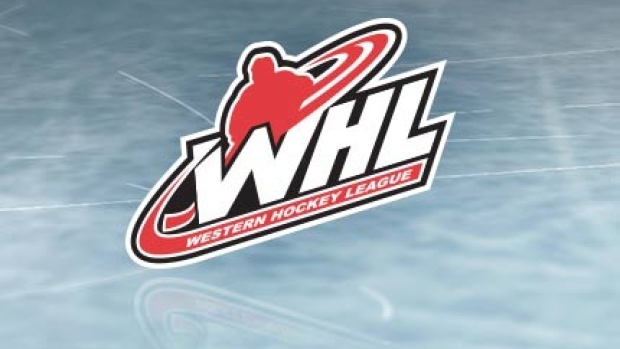 — Jett Woo scored the eventual winner at 4:33 of the second and Tristan Langan set up all three of his team's goals as Moose Jaw slipped past the Rebels. Brayden Pachal, Kody McDonald, Ozzy Wiesblatt and Spencer Moe also scored for the Raiders (26-1-0), who got 24 saves from Ian Scott. Carter Massier and Jadon Joseph had goals for Regina (8-19-0), losers of four straight. Dean McNabb stopped 24 shots in a losing effort. SWIFT CURRENT, Sask. — Linden McCorrister had a hat trick as Brandon beat the Broncos for its third straight win. MEDICINE HAT, Alta. — Reece Klassen made 31 saves as Lethbridge toppled the Tigers. KAMLOOPS, B.C. — Orrin Centazzo had two goals and an assist as the Blazers doubled up Seattle. KELOWNA, B.C. — Dawson Davidson scored his second of the night 23 seconds into overtime as Saskatoon slipped past the Rockets. PORTLAND, Ore. — Ryan Hughes scored twice and Cody Glass had three assists as the Winterhawks toppled Spokane. PRINCE GEORGE, B.C. — Dante Hannoun and Igor Martynov had a pair of goals each as Victoria beat the Cougars to snap a three-game slide. LANGLEY, B.C. — Dawson Holt had a goal and an assist and David Tendeck made 24 saves as Vancouver beat Tri-City for its fifth straight victory. EVERETT, Wash. — Max Palaga made 36 saves as the Silvertips blanked Kootenay to improve to 7-0-1 in its last eight outings.